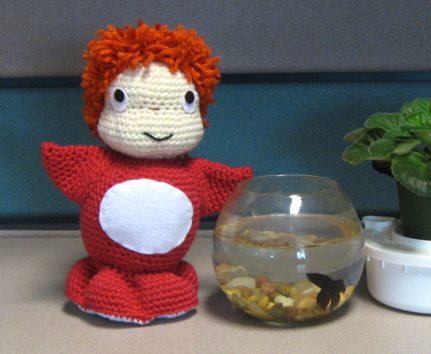 As usual, you can download the free pattern for Ponyo from Ravelry! Oh my goodness, this is adorable! My daughter would flip for one of these! Thanks for sharing! Just finished making one for my Ponyo obsessed son! What a lovely pattern thank you for sharing! My daughter is addicted to this show and I've been wanting to find a pattern forever now! Thanks soooo much for posting the free pattern and I can't wait to get started!! !